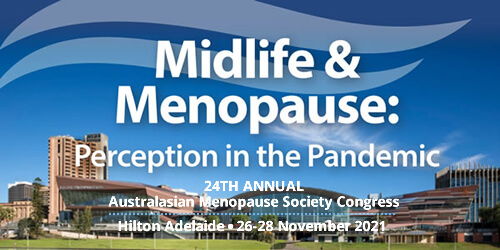 Objective: This study explored the attitudes to, and experience of, menopause among Macedonian women living in Australia, including attitudes and responses to hormone therapy (HT) and complementary therapies, as well as related psycho-sexual, relationship and other midlife issues. Methods: Using qualitative methodology, the study was based on seven unstructured, nondirective group discussions. Natural social groups were recruited, meeting wherever each group felt most at home. A total of 81 participants ranged in age from 45 to 75 years. The women included both first-generation immigrants and women born in Australia to Macedonian parents. A bilingual Macedonian researcher conducted the fieldwork. Results: Participants typically claimed they lacked information about menopause in their native language, and their knowledge of HT was highly variable. Some women only felt comfortable approaching Macedonian doctors. Others reported an easing of symptoms when they revisited their homeland. Deeply religious participants claimed their faith helped them through this phase of life, and that they were as likely to consult a priest as a doctor. A recurring theme was that Macedonian men tended to regard their wives differently after menopause, sometimes treating them as “non-sexual.” Women regarded this shift in male attitudes as a precipitating factor in domestic violence, extramarital affairs and divorce. Symptoms such as hot flashes and mood swings were associated with negative attitudes toward menopause. Conclusions: Culturally determined attitudes appear to affect the perception and experience of menopause. Other influencing factors include migration, women's roles, marital status, religion, use of herbal and traditional remedies, social situation, access to information, knowledge and experience of menopausal symptoms. Strezova A1, O'Neill S, O'Callaghan C, Perry A, Liu J, Eden J. Cultural issues in menopause: an exploratory qualitative study of Macedonian women in Australia. Menopause. 2017 Mar;24(3):308-315. doi: 10.1097/GME.0000000000000750.